A little sceptical when I first saw this but always willing to give the benefit of doubt. 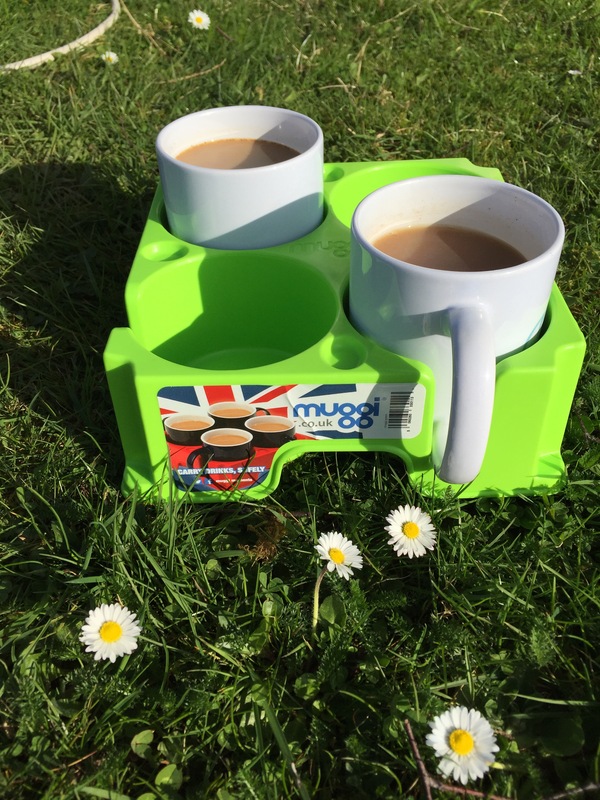 Muggi is simply a drinks carrier, or is it? Designed and manufactured in the UK. Made from strong and durable plastic, Muggi is a perfectly made drinks carrier or a carrier for anything that will fit in it. Mugs, cups, jars and beer bottles are a few of the items our Muggi has safely carried. 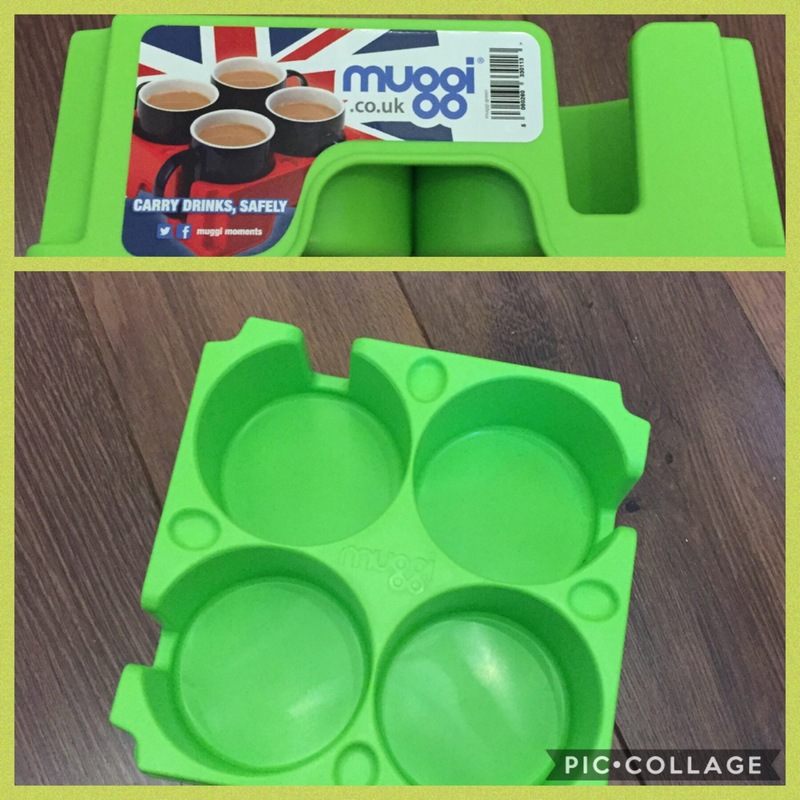 Designed with spaces for mug handles and to catch any small spills with non slip feet the Muggi is available in 7 colours and comes with an 88 year guarantee. Great for people with some disabilities and the elderly. Carrying a drink and a biscuit round with older hands can be a bit of a challenge, Muggi makes the task easier. 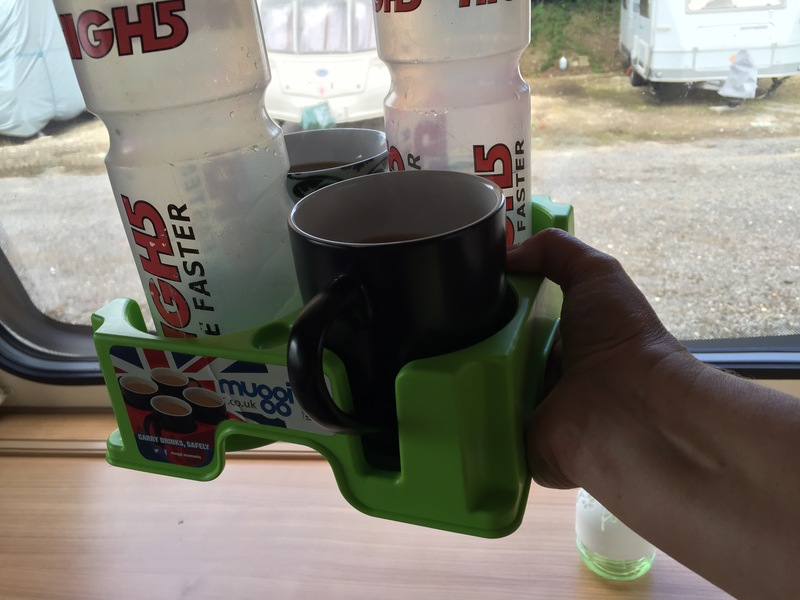 Perfect for boats, camping, caravanning and the office, no more spilt tea when it’s your turn to make the drinks. 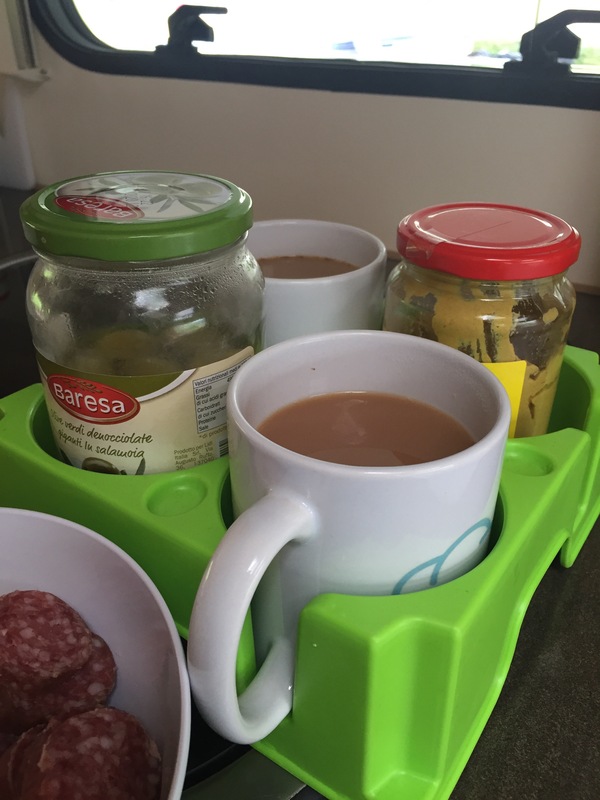 Much safer than carrying a tray and means opening doors, walking up and down stairs with hot drinks are no longer a problem. Try opening a door with a tray of drinks, not easy, Muggi solves this problem with no spillages. It’s microwave and dishwasher safe too. Great for transporting takeaway drinks, Muggi is solid and reusable compared to flimsy takeaway drinks holders. It’s dimensions are 200mm Width x 200mm Diameter x 70mm Height with a cup diameter of 89mm. I chose lime green to match my caravan accessories. Opening and closing the fly screen on my caravan door is tricky with hot drinks, never mind me having to negotiate the caravan steps as well. With my Muggi I can carry four drinks with one hand safely whilst being able to use the other hand to open doors and balance myself. 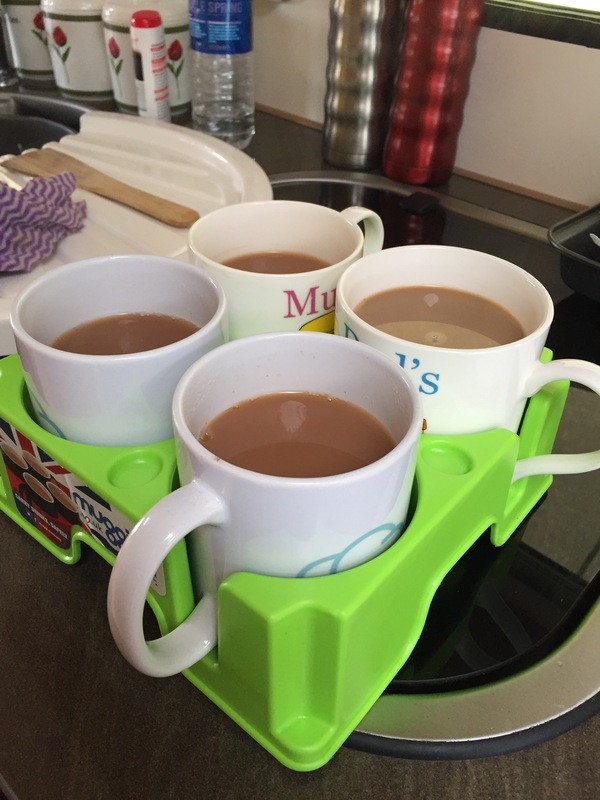 I’ve also used it to transport drinks and snacks about, the mugs holders are perfectly sized for a couple of drinks and a few biscuits. Haha, brilliant, talk about impulsive!! We will have to meet up again a Makins one day. Did you read the Sent to Coventry blog?